F. H. Halliday and Son is an independent family business owned by Glyn Lawrence and his wife Helen, direct descendants of the Halliday family who established the funeral business over a century ago. 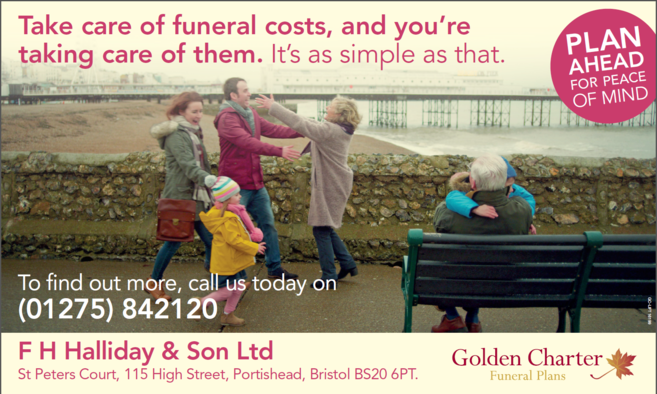 Our aim has always been to give the best service and help to families at such a difficult time - we hold traditional values, whilst realising the importance of choice and have a modern view about funeral services. For us, carrying on the family tradition is a way of life, we are deeply committed to upholding professional standards. We know and appreciate local customs and expectations as we have served our community for many years. 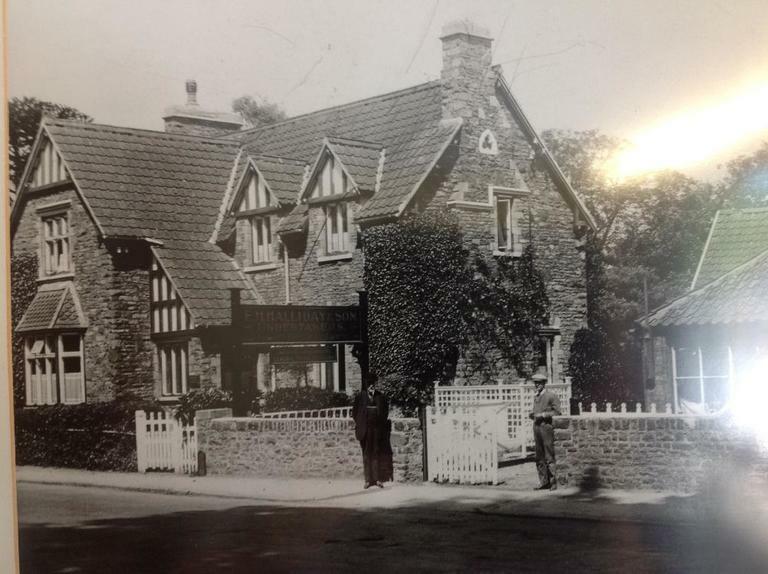 In the 1800’s the Halliday family were carpenters, general house maintenance, painters and decorators employing 8 people based at our current address on the High Street in Portishead. One day someone came into the woodworking shop and asked if it was possible to make a coffin, it was from that time that Frederick Halliday established the business as a funeral directors. 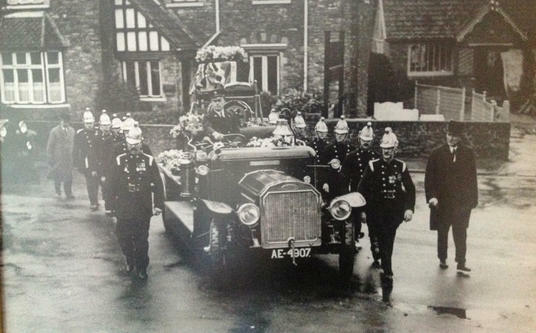 Records show that from 1880 F H Halliday and Son started carrying out full funeral services, providing horse drawn hearses and horse drawn mourning coaches, along with all the other provisions that you would expect from a funeral director. We still hold records written in long hand on every funeral, dating back to 1880, these are held in archives which are regularly used to look up past funeral arrangements. Frederick Halliday passed the business to his son William (Bill) and in the late 1950’s his nephew Edward (Eddie) Lawrence came to join him along with his wife Kitty Lawrence. Eddie worked in the carpentry workshop and Kitty ran the office and decorating business. Eddie’s son Glyn, joined the company after leaving school at the age of 17 and also joined Eddie working in the carpentry workshop, learning all aspects of the trade from decorating to carpentry to bearing, then to becoming the funeral director. In 1966 Bill Halliday retired and a limited company was then formed, owned by the Lawrence family. Today we are managed by Matthew Aldridge and his team, who joined the company in 2005, following 15 years of experience in the funeral trade at an independent family firm based in Berkshire.